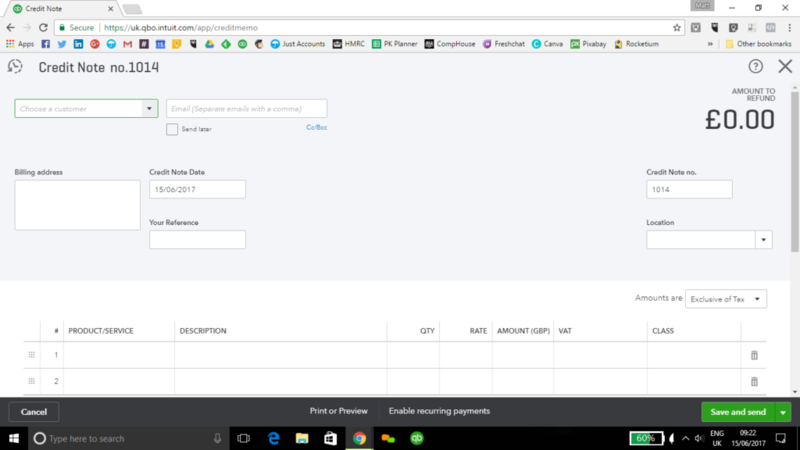 How Do I Create a Quickbooks Refund Receipt or Credit Note? Although a generally intuitive and simple to use software, it’s useful to discuss the various methods for providing a Quickbooks refund or credit to a customer. We’ll discuss the scenarios in which you would use each of these and how to perform the action. 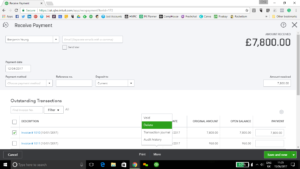 Do remember that you can also edit transactions easily in Quickbooks, so this could be a better early step if, for example, you need to change the date of an invoice. There is a difference between deleting a transaction and voiding it. Proceed with caution, particularly with deleting transactions, as this will completely remove a transaction from the system. Delete should only be used for data entry mistakes, where the customer does not need to know about it. It is also important to note that deleting the transaction will only delete it in the Quickbooks program itself and will not stop the actual transaction occurring in reality. If for example, you were to delete an invoice, it won’t delete any associated payment. It will leave the payment “unapplied”. You’d then need to re-apply the payment by clicking on it and ticking the relevant invoice to apply it to. You will now see a list of transactions for that customer. Find the transaction you wish to delete and click on it. When the transaction comes up, look for the more option at the bottom. Choose delete, and click Yes when asked if you are sure. The transaction is now deleted. N.B. If more than one person uses your Quickbooks software, we’d recommend you never ‘delete’ a transaction. And if you are the only user, it is also worth ignoring the delete button. The reason for this is that no record is kept which means you may not remember the mistake that has been made later on which could be very relevant to the customers’ account. Instead, use ‘void’. Similar to deleting a transaction, you can void invoices, payments, sales receipts or refunds. Use void if a transaction was created by mistake and shouldn’t affect the customers’ account or your accounts, but you still want to keep a record of the transaction in Quickbooks. You will now see a list of transactions for that customer. Find the transaction you wish to void and click on it. Choose Void, and click Yes when asked if you are sure. The transaction is now voided. Credit is a receipt given to a customer that can be offset against a purchase so that the customer doesn’t have to pay as much. You create a credit note to keep track of this until you have paid it and to let the customer know that any amount they owe you has been reduced. Creating a credit note records it on the Quickbooks system and applies the value to the customer’s account. You can then repay the money or offset it against an invoice. You should send the credit note to the customer. By making a credit note, you will ensure the amount is included in your reports and balance totals also. There are several situations where you might need to create a credit note. A customer has cancelled an order or returned goods. The customer is unhappy and wants part or all of their money back. A customer has paid in advance but the final value of the services came to less than the invoice amount. An invoice was issued for the incorrect amount. A discount code or taxes were not correctly applied to the invoice. You want to waive part or all of the sale for some reason. Click on the plus sign (+) in the right-hand corner of the screen. Click Credit note and a new credit note screen will come up. Fill out the required fields such as customer, email, date, reference, product description, value and so on. You can email this to the customer when you have finished by clicking save and send in the lower right-hand corner. For further details or any problems, please see this link. Once you have created a credit note, it will affect the customer’s balance but won’t affect any invoices until you can apply it to an invoice. Click on receive payment and a receive payment screen will pop up. – Customer: choose the customer from the drop-down list. – Date: change if necessary. – Deposit To: Put the business account any refund would be deposited to if applied to the credit note. Select the invoice you wish to apply the credit note to. Then select the credit note you wish to apply to the invoice. Check the totals are correct and click save and close. A delayed credit is similar to a credit note. It will keep track of credit you wish to apply to a customer’s account in the future, but it won’t affect their balance or account until you apply it to a future invoice. The main situation in which you would use delayed credit would be if a customer contacts you to advise that they will be returning some goods they are unhappy with. You don’t want to apply the credit to their account immediately as you want to ensure they return the goods first. Click on delayed credit and a delayed credit screen will pop up. Once the customer has returned the goods, you can then apply the delayed credit to an invoice. Click on invoice and an invoice screen will pop up. Choose the customer from the drop-down list. On the right will appear a column with outstanding credits. Choose the one you wish to apply and click add. This will apply the credit to the invoice and add in a new line on the invoice for the credited amount. Then click save and send to send the invoice to the customer, or save and close. When it comes to refunding money to a customer, there are different ways to do this depending on the scenario. NB: If the scenario is that you are returning goods to a customer, then you would create a refund receipt (see the relevant section below). For all other scenario’s the process involves creating a cheque. This should happen when you give a customer a refund with cash, cheque or bank transfer. If you are applying credit to their account, then use a credit note instead. To illustrate this we will look at two sets of scenarios. A customer is unhappy with the service they received. A customer has not received a service they paid for e.g. due to a cancellation. Click on the Sales tab on the left-hand side. Click on the Customer tab along the top. In the search box, write the customer name or find them in the list and open their account. Find the correct invoice and click on it. The first step in this process is to reduce the value of the invoice by the required amount. For example, the invoice can be reduced to zero or a discounted amount. To do this, find the box saying “amount GBP” in the table and change it to zero or the amount left after the discount. Click save and close. If a warning box appears, click yes. The second step is to create a cheque. To do this, click on the plus sign (+) in the right-hand corner of the screen. (Note: If you have already refunded the person and it is showing in your bank feed, you can create the cheque directly from the bank feed by choosing cheque, putting in the customer name and setting the account to “debtors“, with VAT set to “No VAT“). Click on cheque and a cheque screen will pop up. Choose the relevant customer and make sure the account box in the table is set to your debtors account. Fill in the amount inclusive of VAT, but make sure the VAT column is set to No VAT. The final step is to link the payment to the cheque. Make sure the customer account is open and find the payment. It should say “unapplied” or “partial” under the status column. Click on the payment and a payment screen will pop up. Tick the correct expense under “outstanding transactions”. If you haven’t already paid the customer back in real life, don’t forget to do so, so that you can match it on the bank feed. The next two scenarios follow the same process but with a few steps missed out. The customer has some credit on their account which they would like returned to them as a refund. The customer has paid too much. The second step is to link the payment to the cheque. Make sure the customer account is open and find the payment. It should say “unapplied” or “partial” under the status column. Click on the payment and a payment screen will pop up. Tick the correct cheque and invoice under “outstanding transactions”. If you are trying to deal with one of the above two scenarios from the bank, you can add any overpayment prior to the above actions by choosing “find match”, ticking the relevant invoice but ensuring the total payment value matches what the customer has paid. Before you save, check the “amount to credit” subtotal is accurate. Let’s finish by talking about how to do a Quickbooks refund. (Please note that we will not be covering issues related to refunds for those approved for the Quickbooks Payment System in this post). In a situation where you are returning goods to a customer that they have purchased, you should record a refund to a customer on Quickbooks by creating a Refund Receipt. Click on refund receipt and a refund receipt screen will pop up. Make sure the date is the date you are issuing the refund. Enter the refund information – the refund method and account you will refund from. Find further detail on filling out the Quickbooks refund receipt by clicking here. You can also find further information on Quickbooks website regarding refunds with Quickbooks Payments or dealing with refunds that you receive. We hope this has been a helpful article. 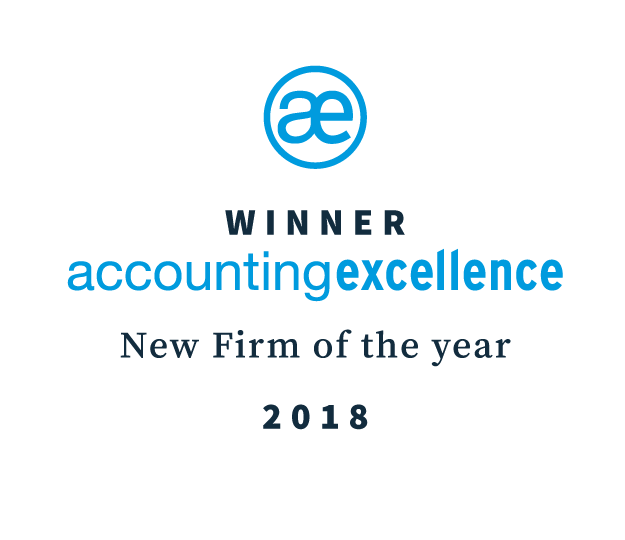 As Quickbooks Advanced Certified Pro-Advisors, we’d love to help you get the most from your Quickbooks, so give us a call today on 0330 111 66 33 and find out how we can help you. Don’t forget to check out our other blog posts.